Sleek design and smooth functionality make this analogue watch from Olivia Burton a dream watch. It has a crown that will help you to adjust the time, while the good quality material leather strap enhances its appeal. It also has a round dial that adds to its design. It comes with a warranty of two years and it is also water resistant which makes it more durable. 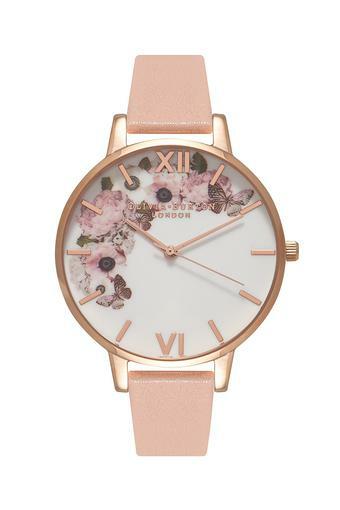 The perfect everyday accessory, this watch is both practical and stylish. When you have dinner plans with your friends, style it with a trendy dress and a pair of high heels.